Start off your visit on the 5th (Wed): surround yourself with nature on a nature and wildlife tour. 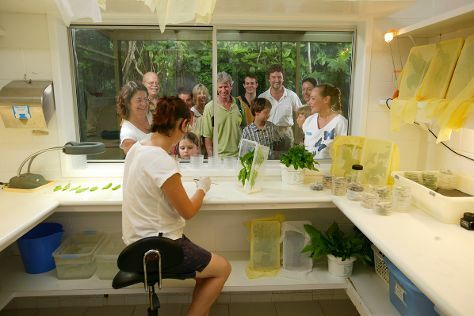 Here are some ideas for day two: identify plant and animal life at Australian Butterfly Sanctuary, then kick back and relax at Trinity Beach, and then tour the pleasant surroundings at Palm Cove Beach. To find ratings, other places to visit, where to stay, and other tourist information, read Cairns trip planner . San Francisco, USA to Cairns is an approximately 19-hour flight. You can also do a combination of train and flight. The time zone changes from Pacific Standard Time to Australian Eastern Standard Time (Queensland), which is usually a 18 hour difference. Prepare for somewhat warmer weather when traveling from San Francisco in June: high temperatures in Cairns hover around 79°F and lows are around 66°F. Finish your sightseeing early on the 6th (Thu) to allow enough time to travel to Alice Springs. Kick off your visit on the 7th (Fri): browse the exhibits of Alice Springs School of the Air Visitor Centre, look for all kinds of wild species at Alice Springs Reptile Centre, and then look for all kinds of wild species at Alice Springs Desert Park. On the 8th (Sat), you'll have a packed day of sightseeing: contemplate the long history of Alice Springs Telegraph Station Historical Reserve, take some stellar pictures from Anzac Hill, then look for all kinds of wild species at The Kangaroo Sanctuary, then explore the striking landscape at The Emily and Jessie Gaps Nature Park, and finally explore the striking landscape of Emily Gap. To see more things to do, reviews, and more tourist information, read Alice Springs trip itinerary maker . Fly from Cairns to Alice Springs in 4.5 hours. Alternatively, you can drive; or take a bus. While traveling from Cairns, expect slightly colder days and cooler nights in Alice Springs, ranging from highs of 68°F to lows of 40°F. Finish up your sightseeing early on the 8th (Sat) so you can travel to Uluru-Kata Tjuta National Park. Start off your visit on the 9th (Sun): tour the pleasant surroundings at Kuniya Walk, then contemplate the waterfront views at Mutitjulu Waterhole, then don't miss a visit to Uluru, and finally hike along Uluru Hiking Path. On the 10th (Mon), you'll have a packed day of sightseeing: admire the verdant scenery at Valley of the Winds, then take in the dramatic natural features at Kata Tjuta, and then take an in-depth tour of Uluru-Kata Tjuta Cultural Centre. 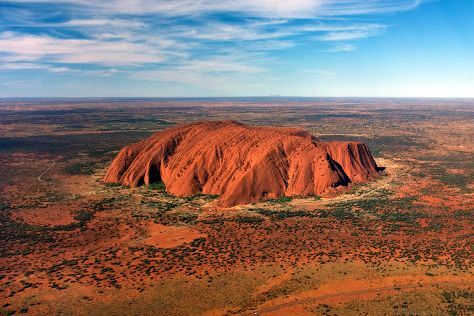 To see other places to visit, traveler tips, reviews, and other tourist information, go to the Uluru-Kata Tjuta National Park trip itinerary site . Do a combination of taxi and flight from Alice Springs to Uluru-Kata Tjuta National Park in 2 hours. Alternatively, you can drive. In June, plan for daily highs up to 67°F, and evening lows to 44°F. Finish your sightseeing early on the 10th (Mon) to allow enough time to travel to Hobart. Start off your visit on the 11th (Tue): engage your brain at Tasmanian Museum and Art Gallery, contemplate the long history of Hobart Convict Penitentiary, identify plant and animal life at Bonorong Wildlife Sanctuary, then steep yourself in history at Constitution Dock, and finally go for a walk through Battery Point Sculpture Trail. 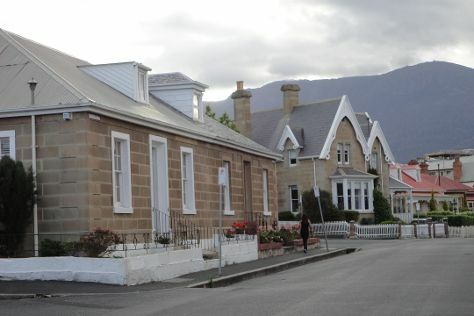 To see reviews, traveler tips, where to stay, and other tourist information, go to the Hobart road trip planning tool . You can fly from Uluru-Kata Tjuta National Park to Hobart in 9 hours. Alternatively, you can do a combination of car and ferry. Expect little chillier weather when traveling from Uluru-Kata Tjuta National Park in June: highs in Hobart hover around 56°F, while lows dip to 41°F. Finish your sightseeing early on the 11th (Tue) to allow enough time to travel to Sydney. Start off your visit on the 12th (Wed): stroll through Bondi Beach, stroll through The Opera House to the Botanic Gardens Walk, then enjoy some music at Sydney Opera House, and finally wander the streets of The Rocks. 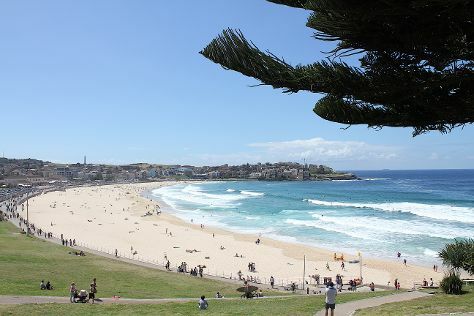 On the next day, kick back and relax at Manly Beach and then wander the streets of Darling Harbour. To see where to stay, more things to do, maps, and other tourist information, read our Sydney trip builder website . Fly from Hobart to Sydney in 4.5 hours. Alternatively, you can do a combination of bus, ferry, and train; or do a combination of bus and ferry. Expect a bit warmer temperatures when traveling from Hobart in June; daily highs in Sydney reach 65°F and lows reach 50°F. 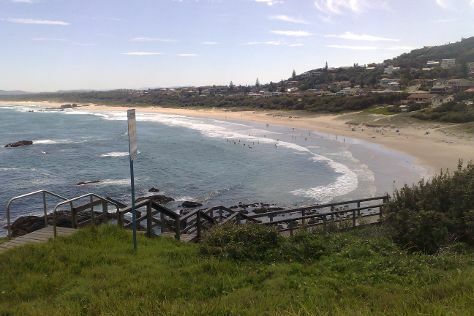 Finish your sightseeing early on the 13th (Thu) to allow enough time to travel to Port Macquarie. On the 14th (Fri), hike along Coastal walk, look for all kinds of wild species at Koala Hospital, and then visit a coastal fixture at Tacking Point Lighthouse. To see where to stay, traveler tips, other places to visit, and tourist information, go to the Port Macquarie route planner . Traveling by flight from Sydney to Port Macquarie takes 3.5 hours. Alternatively, you can drive; or do a combination of flight and bus. Traveling from Sydney in June, expect nights in Port Macquarie to be about the same, around 51°F, while days are little chillier, around 55°F. Wrap up your sightseeing on the 14th (Fri) to allow time to travel back home.